Warleggan Bed and Breakfasts. Compare latest rates and Live availability for all your favourite places and places you have always wanted to go using our new My Shortlist feature. Click + to add to your Shortlist. 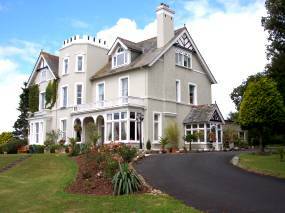 Bed and Breakfasts in Warleggan, Cornwall for 1 night from Fri Apr 19, 2019 to Sat Apr 20, 2019 within 10 miles, in an Average Nightly price range of £1 to £200. The Caradon Inn is a traditional Inn in the peaceful village of Upton Cross near Liskeard in stunning Cornwall and situated directly opposite Sterts open-air ampitheatre set on the fringe of picturesque Bodmin Moor. br / br / br / br / Liskeard is an ideal base from which to explore. Situated at the head of the Looe Valley it has long been an important market centre and was one of the four original Stannary towns. br / br / The mining industry played an important part in the town s growth and in 1828 a canal link enabled ore and stone to be carried down to Looe. br / br / br / br / The railway which replaced it has become today s single track branch line along scenic wooded riverbanks the Looe Valley Line. Liskeard remains a picturesque and lively market town full of interesting buildings: a Victorian Guildhall and clock tower the Stuart House where Charles I stayed in 1644 and the second largest church in Cornwall. Market days are still held every Monday and Thursday and the town now has an excellent leisure centre Lux Park. br / br / br / br / To the north west of Liskeard lies the windswept uplands of Bodmin Moor a designated Area of Outstanding Natural Beauty. br / br / br / br / The moors shrouded in mist and mystery hold abundant clues for those who want to delve into the past - burial chambers and holy wells giant stones and Bronze Age settlements decayed mine-workings and disused quarries. When you visit the moors you are retreading the footsteps of Neolithic man of Cornish Kings and of the thousands of miners who once worked the area. At 996 feet on top of Caradon Hill, Wheal Tor is the highest inn in Cornwall. Boasting stunning views, it offers rooms with private garden access, free Wi-Fi, and locally sourced full English breakfasts. Bright and elegant, each room at Wheal Tor includes an en suite bathroom and free tea and coffee-making facilities. Guests have use of the comfortable and spacious guest lounge with a TV and DVD player and leather sofas. Breakfasts are served in the bar area with beautiful South Cornwall views. Cooked breakfasts are made using local sausages and free range eggs, and continental options include fruit juices and cereals. The bar and restaurant, with its original fireplaces and features, serves hearty, home-cooked meals including local steaks and sausages and homemade desserts. The market town of Liskeard is 6 miles away, and free parking is available. Siblyback Lake, with its range of watersport activities, is 4 miles from Wheal Tor, and Plymouth and Looe are both 15 miles away.